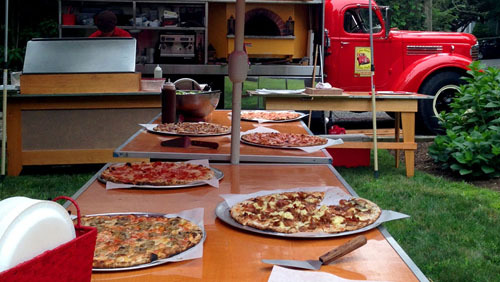 We are a traveling pizzeria which offers private catering for all sorts of events and parties! Packaged up in a 1946 International Harvester, we provide our guests with a unique party people are sure to talk about. Keeping true to traditional New Haven style pizza, we use our wood fired brick oven to cook thin crust pizzas, made right on site using the freshest ingredients. 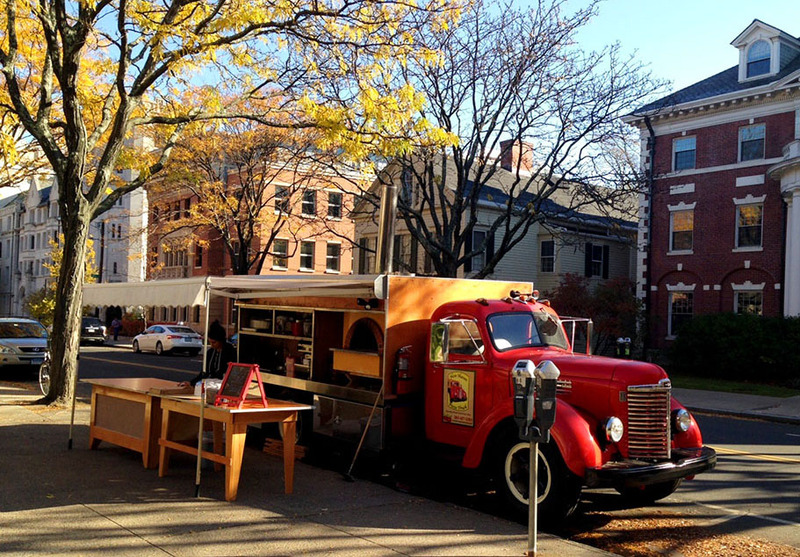 The New Haven Pizza Truck combines two great things, pizza and antique automobiles. 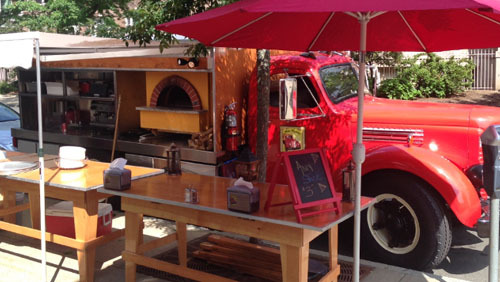 Our 1946 International Harvester and staff are a traveling pizzeria, guaranteed to make your next event a hit. 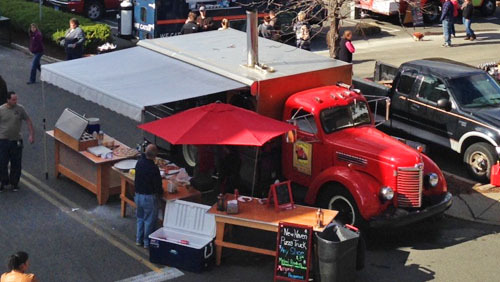 Our truck is a re-purposed 1946 International Harvester fire truck. 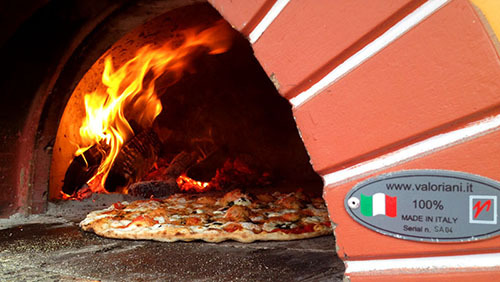 Customized with a wood fired, brick oven, it is a real party on wheels. We offer our clients a pizza buffet cooked right before your eyes! We have a wide variety of toppings, offering almost unlimited possibilities. Reserve us for your next event! We currently offer lunch and dinner time slots. Please visit our Book a Party page for more information.